When Fast Isn’t Fast Enough: How to Make Speed Feature #1 and Take Your Digital Delivery to Ludicrous Speed. As mobile consumption and responsive design become more integral to your digital strategy, plain old high-speed experience just isn't enough — you need to work with your team to make speed feature #1 and take the experience of your site and applications to ludicrous speed! It's clear that performance of your digital properties is important for business results. There's already a great deal of research on the topic, and techniques for internally selling speed within your company are well known. But, until you make speed feature #1 and apply it to every part of your end user experience, you will never be able to reach the performance level your customers are increasingly coming to expect as standard — ludicrous speed. 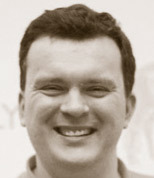 Sergey Chernyshev (@sergeyche) is web performance enthusiast, open source hacker and web addict. He has 20 years of web development and operations experience and works at Dynatrace as Web Performance consultant on Insights team, helping large clients make sense of their performance needs. Sergey also organizes NY Web Performance Meetup Group, local community of web performance geeks in New York and helps kick-start local web-perf groups around the globe. Aaron Rudger (@arudger) is a veteran in the Web Performance space with over 15 years of industry experience. He currently leads Product Marketing at Dynatrace, shaping and evangelizing the company's digital performance management technology vision. 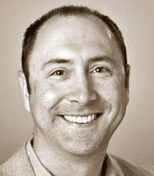 Prior to Dynatrace, Aaron held key marketing positions at Keynote, BMC Software, and iPrint.com. His cross industry expertise and perspective can be found in industry publications and technology blogs such as NBC News and Wired Magazine. Aaron is also a frequent speaker at industry events like Velocity Conference.